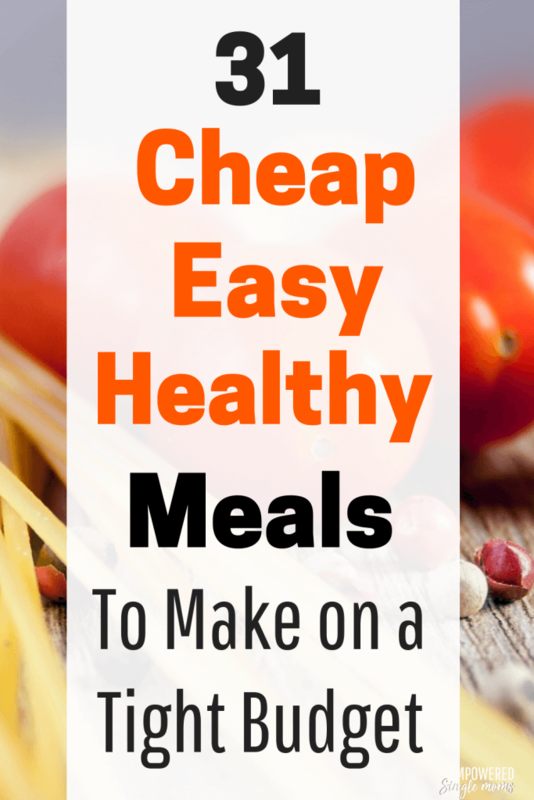 Inside: These frugal meals will make your budget meal planning as easy as boiling water. I have been getting bored with making the same old things like burritos, pasta, sandwiches, and salads. Some new healthy meal plans on a budget were in order. I have been eating a little too much bread and pasta. It was time to hunt for some new budget recipies and I was successful. Some of the recipes I found are even paleo and whole 30. I went to my favorite place to get new ideas for frugal meals. “Where is that?” you ask, Pinterest of course. Check out my Pinterest boards here and follow me while you’re there to keep up with my latest inspiration. I had so much fun collecting new recipes that I decided to share them with you. 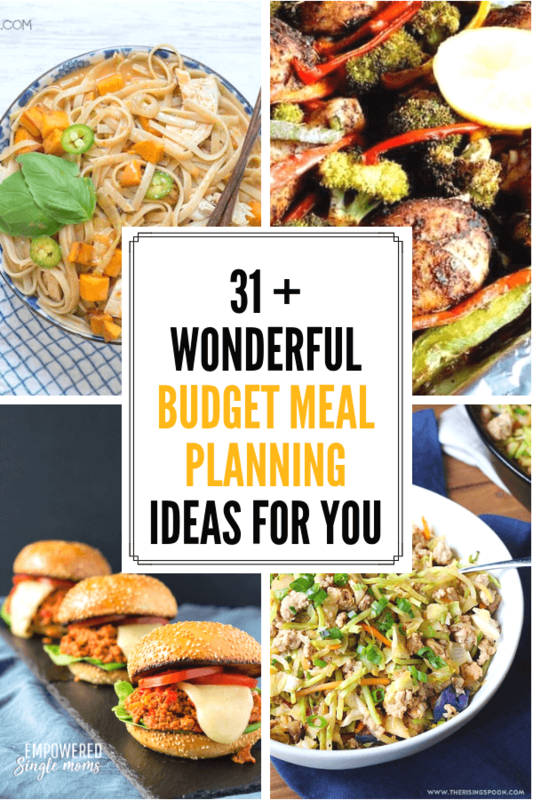 I got a little carried away collecting new healthy, budget recipes, so instead of one article, I decided to write a budget meal planning series. This is the first of three. I go through the process of how to save on food here and how to save money on groceries here. If combing Pinterest for meal planning ideas, going through the recipes and making your grocery list isn’t fun for you or you just don’t have the time. Eat at Home is a great meal planning service. 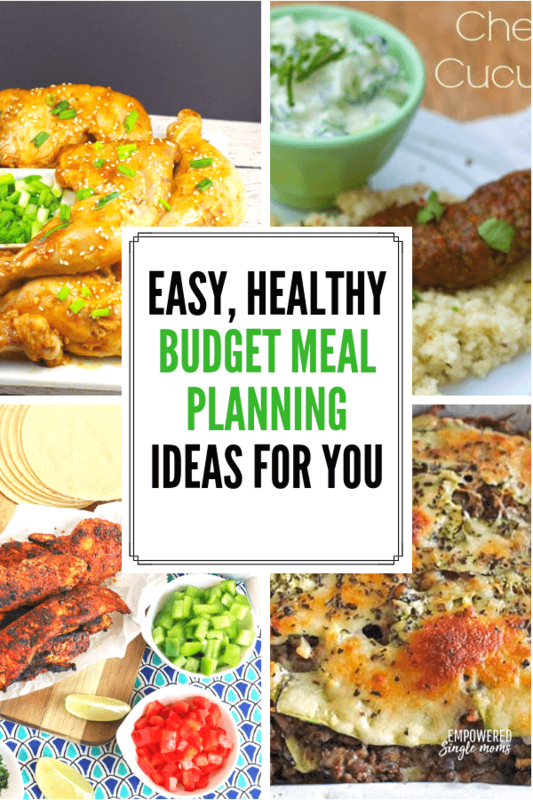 She does the work of making easy, budget meal plans for you. She makes it super simple to eat at home which is so much cheaper than going out. I love her recipes and the options she has to individualize it for your lifestyle. Check out Eat at Home here. Eat at Home has meal plan options for traditional meals, wholesome traditional meals, InstaPot/Slow Cooker and No Flour, No Sugar. Now for the recipies I collected to share with you. I was surprised by how many different ways there are to fix chicken. It is almost endless. Here are some of my favorites. Way better for you than the processed things you get at the store. Roasted vegetables are my family’s favorite way to eat vegetables. If you haven’t tried it this recipe will get you started. If you are looking for a great cookbook you can’t beat, Dining On A Dime Cookbook. You can get it as a regular book or as a digital book. Watch for ground beef to go on sale and buy a family pack. It freezes like a dream. This is really different than anything I’ve made but looks so yummy. I can hardly wait to try it. A lot of families have one or two days a week that they go meatless, which is a great way to reduce what you spend on food. These vegetarian recipes are built around some of the best choices for budget meal planning beans, pasta, rice, potatoes, and eggs. Falafel is one of our favorite vegetarian meals. This salad is hearty enough on a summer evening it could be the main course. The rest of the series will include Healthy Cheap Crockpot Meals, Inexpensive InstaPot Meals, and Frugal Vegan Meals.